Create a beautiful ambience with the Tiziano Double Lantern from the Eichholtz lighting collection. Inspired by antique lighting designs, the double- dropped shade is hand-made with high-quality glass panels. 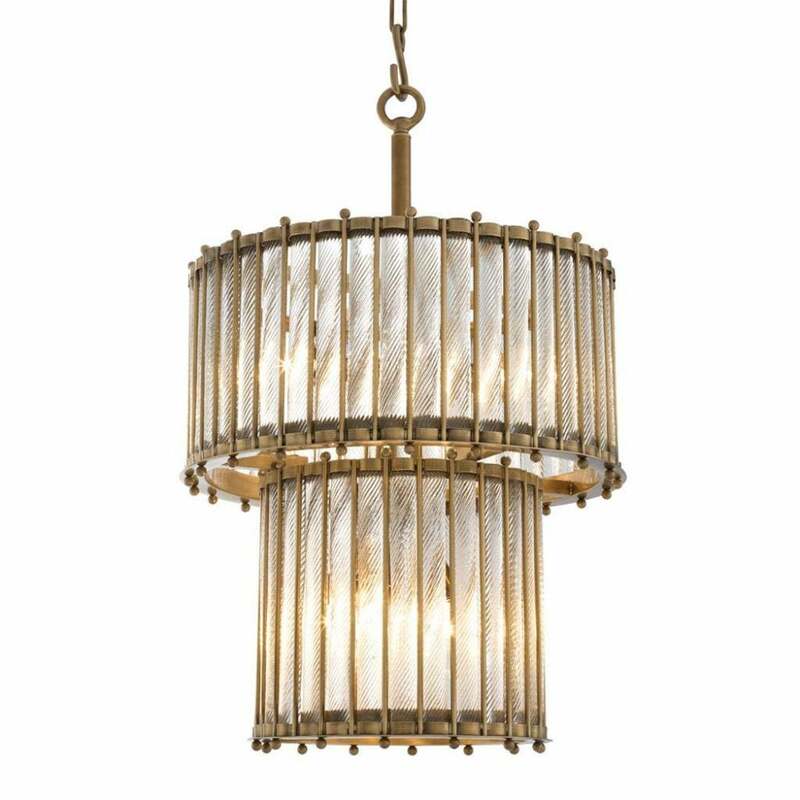 Finished with antique brass frame-work, the lantern combines vintage glamour with modern materials. An elegant glass ceiling light for contemporary homes, Tiziano makes the perfect living room, dining room or bedroom centrepiece. Pair with a combination of traditional and modern furniture pieces with brass handles to create an eclectic look. Also available with a single drop shade. Make an enquiry for more information.